High School Students - Get Involved in Extracurricular Activities in Four Easy Steps! Interscholastics are an integral and valued part of the Tucson Unified School District. 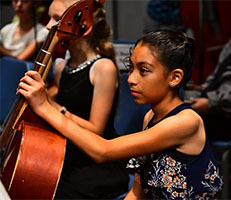 Our performing arts and athletics teams are some of the best that Southern Arizona has to offer and are available to all interested students in our district. So how do you get involved? ATS stands for Athletic Trainer System. It's the system we use to monitor our students' involvement in extracurricular activities. Before a student is cleared to participate in a particular sport or competitive fine art, she or he MUST be in our ATS system. Students need to sign up EACH year they participate. Sign up with ATS here! 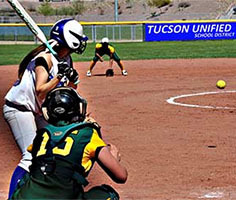 Physical examination forms are another yearly requirement for any interscholastic participant, per the bylaws of the AIA (Arizona Interscholastics Association). Only physicals dated March 1st or more recent are vaild for the upcoming school year. Each year, our Interscholastics department holds their own physical fair with help from Athlon Physical Therapy. Many Tucson area health clinics also offer sports physicals. See the Physical Examination page for clinic lists and locations. Different grade levels of competition may have different forms required for participation. Check our Forms page for a comprehensive list of which forms your student needs to compete. 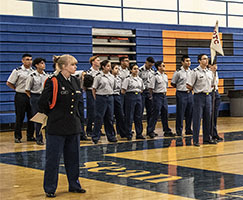 Participation fees may be associated with an interscholastic activity; however, keep in mind that scholarships and other fee assistance are available based on need. Consult the Extracurricular Activity Fee Schedule for fees for your activities. If you need help covering fees for extracurricular activities, including athletics, apply for a scholarship through the Educational Enrichment Foundation. Need more info? Check our FAQs! Palo Verde's Aaliyah Ortiz Scores 1500 Points! Rincon High's Loraya Rocha reaches 1000 points in basketball!